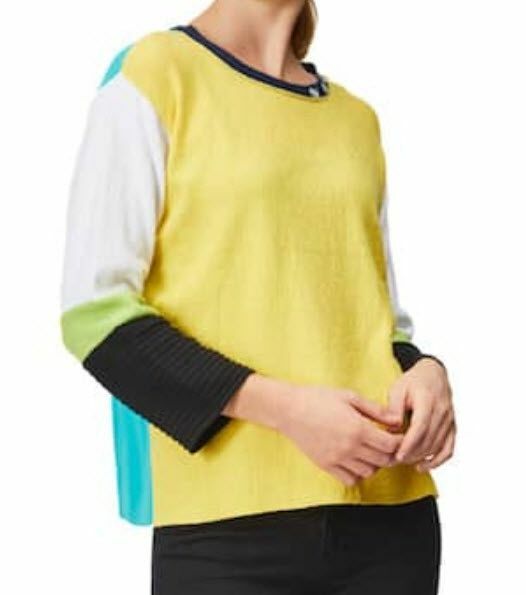 Long Sleeve reversible cotton sweater in yellow, teal, white, green and black. 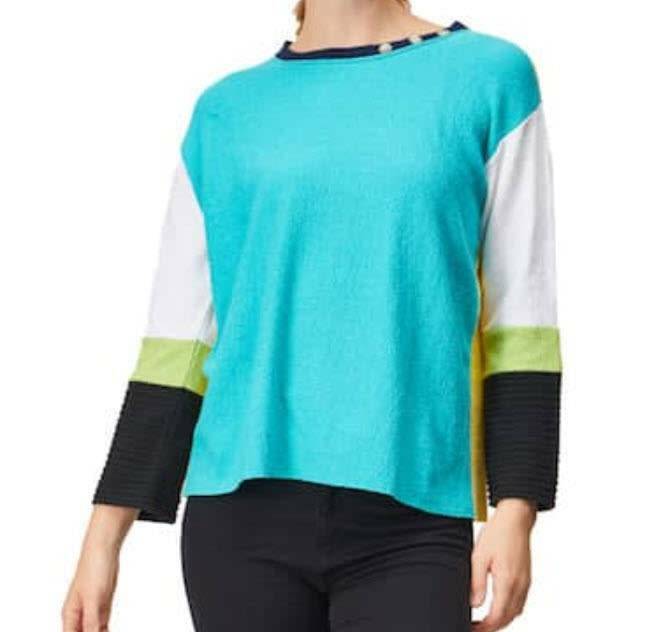 Margaret Winters spring 2019 collection utilizes luxe fabrics, such as rich cottons and the finest rayons, in both natural and vibrant colors. Think classic looks with a modern twist that are perfect for both casual and dressy occasions. 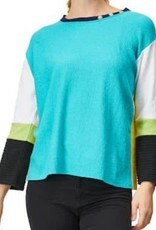 Satisfy your personal sense of color and express both dignity and playfulness. Always, they are easy to care for at work, play or travel.